Anything to make my home smell like warm apple pie, I'm in! These gorgeous little pieces of art are plug in warmers for the dozens of fragrances to make your home smell divine. 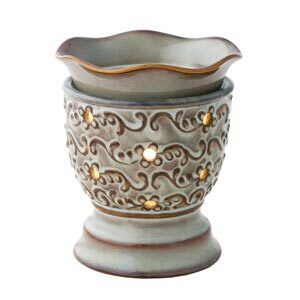 one full size Scentsy warmer. Prize ships to: United States, Puerto Rico, and Guam. You can also earn FREE and 1/2 price items by hosting your own home, basket, or online party. Interested in starting your own business? It only costs $99 to start! Ask her how! Just leave me a comment here telling me which scent you would pick if you won! Oh YUM! I love a good scent in my home! I would definitely pick the central park praline for sure. Love those homey scents to welcome in the family at the end of the day. By the way, I love your blog and Adele! Thanks for the chance! Ooh, baked apple pie or autumn sunset. I love fall! I've been wanting to try Scentsy! Not sure if I'm doing this correctly, but I'd love to try the French Lavender, Baked Apple Pie, and Clean Breeze in the beautiful Milano warmer. Thanks so much for this giveaway! baked apple pie for me! Anothervote for baked apple pie! I've never tried scentsy but have heard great things about their products. I hope I win! Central Park Praline sounds right up my alley! I love homey scents for the fall and winter months! Great giveaway! I think I would try Christmas cottage, sounds like it would smell great! I just went to my first Scentsy Party. I had never heard of it before this! Loved and order Central Park Praline! But if I were to win your giveaway I would want Autumn Sunset! Love Fall! Thanks for the giveaway!!! I've been on a pear kick lately, so the Honey Pear Cider fits right in. I'm so ready for Fall. Baked apple pie and autumn sunset! Hooray for Fall!! I live in Florida so my favorite scent is Skinny Dippin :) Reminds me of the beach :) OR since Fall is near maybe autumn sunset! The Pumpkin Marshmallow sounds awfully tempting! How fun =) Definitely Autumn Sunset for the senses in the Charity warmer for the soul....MMMM! Love your blog...thanks for the chance. Mmm, Cinnamon & Clove sounds perfect! Love Scentsy - titanium would be my pick!! Hope I win!!! I love Scentsy! I've never smelled one I hadn't liked. I'd probably go with Autumn Sunset or Apple Pie. I love Scentsy and I am so excited for the holiday season that is quickly approaching. So I would pick Christmas Cottage! Thank you for the giveaway! With Autumn comes my favorite Starbucks flavor-pumpkin spice latte mmmmmm…therefore I would lean toward the scent of the month pumpkin marshmallow. Hazelnut latte sounds wonderful (and delicious) too! I would choose cinnamon and cloves scent. Thanks! I would pick the baked apple pie scent! It would bring the smell of fall to my home !! I'd probably go with Skinny Dippin or Apple Pie! I love Autumn Sunset, Home Sweet Home and Snowberry! Can't wait to break those out very soon! Fantastic giveaway! I've never tried these so they would be a treat. Autumn Sunset and Hazelnut latte are high on my list...then baked apple pie! I love all things apple and fruity! Love scentsy... fav scent right now is pumpkin marshmallow for fall! I would have to try Cinnamon Vanilla, I love a good Fall fragrance! It is my ultimate favorite scentsy scent for Fall! I have been wanting to try scentsy for a long time! Would like to try the Apple Pie one.. yum! Baked Apple Pie for sure! I can smell it now! Yum! The apple pie sounds divine and just in time for fall! I wish they had a Scentsy bar that just magically absorbed and erased the smell of the "accident" my dog just had on my carpet last night... but until that happens, I'd have to go with Autumn Sunset! the pumpkin marshmallow sounds good to me!! I am so happy fall is close so I would pick Baked Apple Pie or Autumn Sunset. Your blog is terrific. I have never tried Scentsy, but I would definitely like to try Pumpkin Marshmallow. It sounds yummy! I love Scentsy! The cinnamon bear scent sounds like just the thing I need now that the weather has cooled off. Cinnamon bear sounds like just the thing since the weather has cooled off so much! Thanks for the giveaway. I love Scentsy and would love some new scents for fall! Pumpkin Roll is by far my favorite! Central Park Pralines, Christmas Cottage and Pumpkin Marshmallow for me please, I love Scentsy.. Thanks..
MMMM I love sentsy! Sad I broke my warmer when we moved and my son busted my plug in wall one just yesterday! I love love love the Eskimo kiss scent, my fav! I love the pumpkin spice! I love fall and I'm ready for my decorations to start going up! Baked apple pie for sure! pumpkin marshmallow...yum!!! makes me want a new kind of smore!! I have heard the Gardenia scent is amazing, but I have yet to order one of my own. Thanks for this opportunity to try Scentsy! 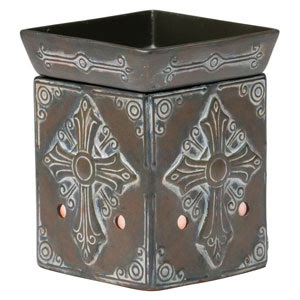 I would choose the satin black full size warmer form the Classic Collection. Scents I would like to try: Sentimental Cider (gettin' ready for fall! ), Festival of Trees (gettin' ready for Christmas-here before we know it!) and Pima Cotton for an overall fresh clean scent throughout my home! Thanks again! I have never tried Scentsy & am very intrigued by Central Park Pralines...mmmm, bet it's wonderful! Baked Apple Pie. I'm totally ready for fall time and fall scents! Awesome Giveaway! The Pumpkin Marshmallow sounds like a winner to me! Thanks for the chance! Honey Pear Cider sounds amazing! Yum love scentsy!! Pumpkin marshmallow or luna! Crazy about Scentsy.... please enter me too. Wow! I would definitely pick a pine-y smell for Christmas time. Im not very picky, but I do love me some of the baking scents... They're just yummy! I think I'd choose vanilla cream scent. Oh I love Fall/Winter scents! Christmas cottage or clove and cinnamon! I would love Pumpkin or apple pie- really any autumn scent. I have been thinking about these and would love to win. I love Cozy Fireside, makes me wanna curl up on the couch with a good book and dream of being snowed in! I think Clove and Cinnamon is callin' my name!! Something about that combo screams fall. Pumpkin Roll, Black Ruby, Whiteout...so many great scents to choose from! I am new to your blog, clicked on it from B&B's Nest. 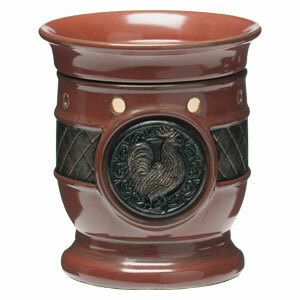 I love Scentsy and my fav would be perfectly pommegranate! Would love to try the baked apply pie or another autumn smelling one! Love the smells this time of year and I would love to try scentsy! OH I have never heard of this:) I would love to try the clean breeze!! Thanks for this giveaway!! I think I would go for Marshmallow Pumpkin or Honey Pear Cider...ooohhh it's making me hungry! I recently went to my first scentsy party. I would love pumpkin marshmallow. mmm baked apple pie!! yum! OOh I would love the Mochadoodle in the Milano warmer. What a fun giveaway. Thank you! Love fall scents so I would choose cinnamon vanilla. Thanks! Baked apple pie is my fav! Cozy Fireside is my favorite. I love fall!! I would love to try the Sugar Cookie or Christmas Cottage scents! I love Scentsy!! I'd love to try autumn sunset! I'm loving this cooler fall like weather. I'd love to try central park praline or autumn sunset. Honey Pear cider is to die for!!!! Love it!!! Pumpkin Roll...it's my absolute favorite! mmmmm....I can smell them now. I would pick Central Park Praline or Pumpkin marshmallow! I would love to try cinnamon bear! I'd love to try the French Kiss scent. Anything with fig. Thanks for the chance. There are so many great fall scents, but Honey Pear Cider is definitely one of my favorites. I just love everything about the fall. I Love Scentsy and I would have to go with Hazelnut Latte or Blackberry Vanilla! My FAVORITE scents are Baked Apple Pie (actually, ANYTHING apple scented) and Oats & Honey. Mmmmm. I think I would choose Eskimo Kiss, although Black Ruby sounds wonderful too.